Among our many covers is the popular Covermates Classic Outdoor Chair Covers. 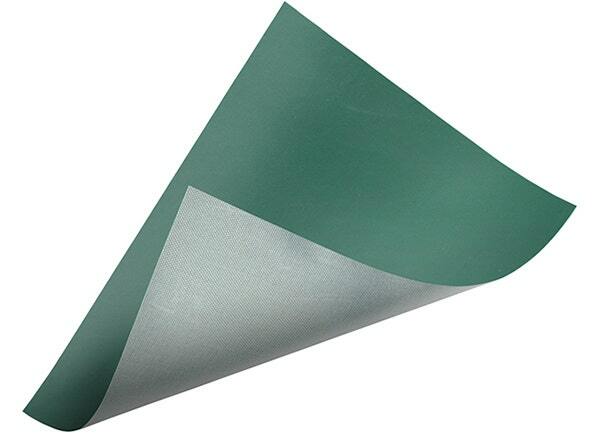 Designed for standard outdoor chair shapes, this cover will fit many brands of patio chairs. Our outdoor chair covers also include breathing vents to allow for proper air flow, minimizing the possibility of mold and mildew, and strong elastic bottoms to ensure a snug fit. This is especially important during those windy days when many other outdoor chair covers blow away. Covermates Classic patio chair covers look great in any outdoor setting. This allows use of our outdoor chair covers year-round to keep dust, dirt, rain, dew, sap from trees, bird droppings, etc. away from your patio furniture investment. 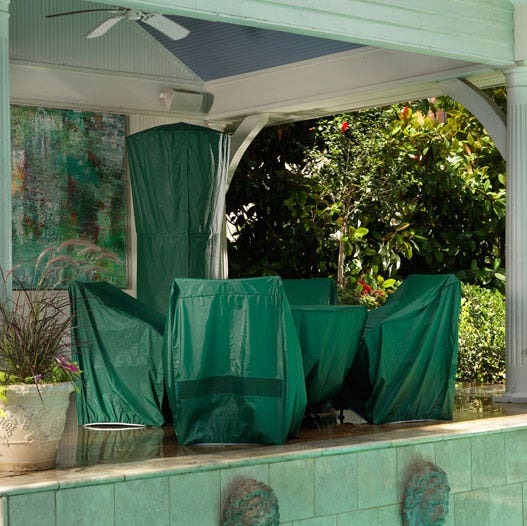 We stand behind our Covermates Classic outdoor chair covers with a two-year warranty. Good quality, good service at a very reasonable price. The covers are well made and fit well. This was the least expensive choice of chair covers. I'm so glad I didn't buy more expensive ones because the material of these covers is simply amazing! I live in southern CA and they're perfect for my needs. Generous covers; superior quality and the right price. Excellent value! The fit is perfect and they are well made. Have kept the cushion dry through a couple of very heavy rain storms. Perfect for outdoor furniture that cannot be kept inside. These fit perfectly! I bought them to keep my grandmother's wrought iron patio furniture from rusting. They do the trick! Great quality and price! This is really a great product. Seems very sturdy and so far am impressed. I would say the sizing is quite generous, which I am happy about. Would not hesitate to buy again, or in another size for another product. I bought several different sizes for various chairs, tables and ottomans, and am very pleased. Perfect purchase. Very pleased with the quality and fit of the chair cover. Rain bounces off it and it was able to stay in place despite 110 km wind gusts we had the first day it was on. Great product. Only con was that it took a little longer than anticipated to ship to Canada. These fit the chairs well and are easy to put on and take off. I'm very happy with the purchase. Great product. even better than what I expected. Fits like a glove! This cover is well made & very sturdy. Super happy with the product. We had Coverstore products previously & they've stood up well to the elements - can't say that about the competition, though! Theirs stuck to itself after just a summer in a shed. But Coverstore consistently performs well & weathers the summers in the shed with no problem! Good quality, fair price. I also love the way this website is organized--makes it quick and easy to find what you're looking for. coverstore does one thing, and they do it very well. Thank you! Arrived on time and all covers fit chairs, ottomans and sofa. Elastic on covers keep covers on. Covers fit chairs perfectly. Especially like the elastic at the bottom. The covers fit perfectly and are great quality. Exactly what we were looking for. Good quality product. I would like to suggest you mark your covers &#34;front&#34; and &#34;back&#34; so that the customer could fit them on the furniture more quickly as a rainstorm approaches. perfect fit. just what i was looking for. great protection. quick shipment and reasonable cost. time will time if it lasts two years. just what i hoped for. well made,sturdy material, good fit at a reasonable price. nice product. Very pleased!! Perfect size and was surprised at the substantial quality of the covers. A good buy! Came quickly and product looks good and durable. Exactly according to description.Perfect fit, good quality.Arrived in the time frame promised.I would definitely order from this company again. I have ordered covers for my outdoor furniture quite a few times from the Cover Store. I have always been pleased with the customer service, the timely delivery of the products, and the quality. I love that I can call and speak with a real person who will look up my previous orders to help me determine which size I need. Top notch! Fits like a golf, good material too. If the cover fits by it! Perfect fit. Just what I wanted. Good Stuff! Like them a Lot !! Well made, fits great. Hope to get many years of service. As soon as I received my chair and loveseat covers I put them on the furniture to get ready for five straight days of rain. The covers did their job throughout the steady rain and wind, and kept the cushions and pillows dry. I am very pleased with my purchase at this point. We are very pleased with our purchase. Quality is very good, and these covers fit our new porch furniture as we expected. Would buy these again. Very pleased with fast service and product. This is the fourth time I have used your company. Fits chairs great, keeps cushions dry from rain. Purchased for daughters new home for Christmas.Site was so easy & accurate to use.They fit perfectly & look great too.Excellent quality; good having the elastic on bottomsShipping was quick too. Arrived quickly and exactly as described. Well designed. Should stay on in a wind. Received quickly and love them. Fit is perfect. Good quality product and delivered in three days. GREAT covers, roomy for big chairs and plenty of ventilation to preclude condensation from forming within. I have fairly large outdoor wicker chairs and these fit perfectly. The quality appears to be very good. No buyer's remorse on this product. I also purchased the fire table cover a few weeks back and I love it. There is no way these covers will blow of in the wind! It is so refreshing to order something and have it fit perfectly, be a great quality, and arrive so quickly. LOVE this product and LOVE the COVER store! awesome covers! very well made, material is heavy and they are easy on and easy off!! Seems to be good. Will see what happens over a year. Great quality and fits my wicker chairs well.